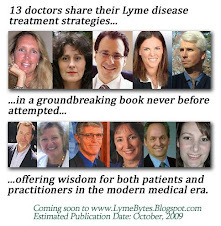 Lyme Bytes: New Babesia-like Organism Identified, "FL1953 Protomyxzoa Rheumatica"
James Schaller, MD is renowned for his work in discovering and describing many of the co-infections involved in chronic Lyme disease, especially Babesia and Bartonella. He has many books published on these infections, which I highly recommend. 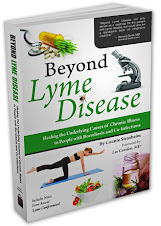 In the following commentary: www.personalconsult.com/posts/FL1953.html, Dr. Schaller describes a newly-discovered pathogenic organism which may be implicated in some cases of chronic Lyme disease. Called,"FL1953 Protomyxzoa Rheumatica", this organism is similar to Babesia in its characteristics. 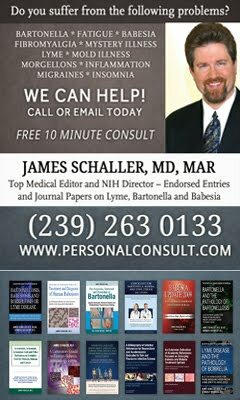 New tick and flea-borne infections are being birthed into our world at an alarming rate, but I am grateful to physicians like Dr. Schaller who are taking the time to identify and describe them, so that effective treatment solutions can be developed for them. Isn't Dr Schaller a psychiatrist?